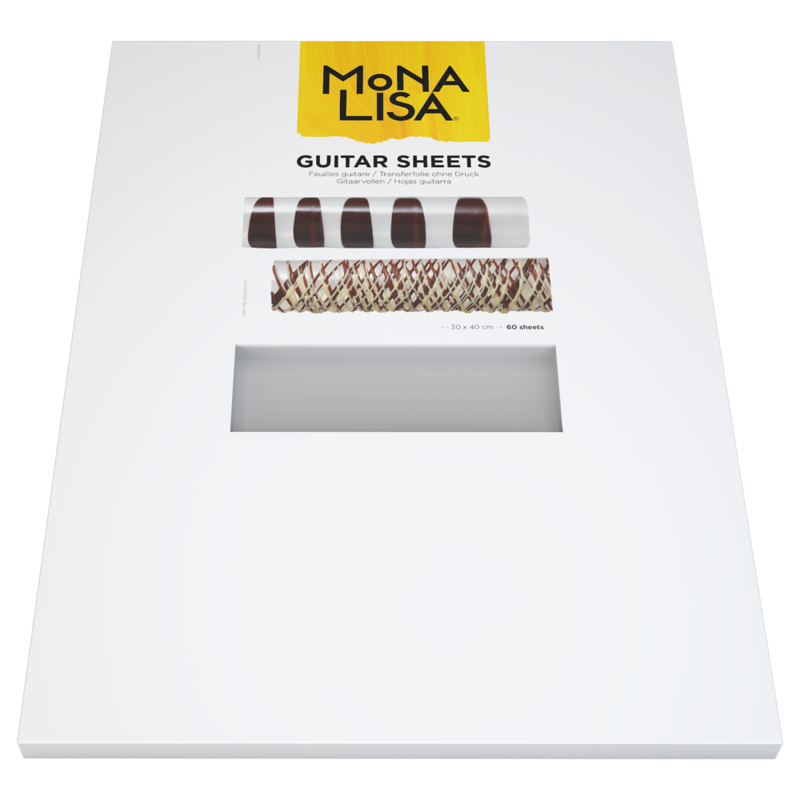 Guitar Sheets give your chocolates an incredible shine. These 30 X 40cm sheets are the ultimate accessory for chefs. Spread a little melted chocolate onto the sheet, shape, and leave to dry to create chocolate decorations.